In this article I am going to explain why you should sleep with the window open for improved quality of sleep and better health. I sleep with my door closed and my window open every night, I don’t think this has always been the case, I do recall as a kid I slept with my door and window shut. I have noticed a big difference in the quality of sleep I get and how I feel the next morning by having my window open. I have noticed by having fresh air during the night, I have a deeper sleep, feel cooler and wake up more alert and energetic the next morning. If I have my window shut I don’t feel these benefits plus I sometimes get a sore throat. I have done some research on this and I have learned that when we sleep, the body is using oxygen to detoxify us when we breathe, so we breathe in oxygen and expel carbon dioxide and toxins, so when we sleep with the window open, we allow the expelled air a chance to escape and fresh oxygen rich air to enter the room so we don’t keep breathing in the bad air. 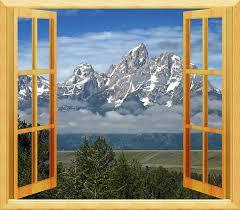 You don’t need to have the window fully open, I personally just have it cracked open. Where I live in Australia, the weather is always good, so in winter the coldest it might get is 0 degrees Celsius at night so I’ve never had an issue with it being too cold to keep the window open, but if you live somewhere where its way to cold or really hot overnight and you need the window shut and the air con on, I would advise that you at least keep the door open to allow access to the air from the rest of the house. Great idea! Now that it’s starting to get warmer in the northern states I’ll be testing this out. I would love to see a post about your early morning routine, something I often struggle with. I will write an article about my morning routine in the future but in general it goes like this.